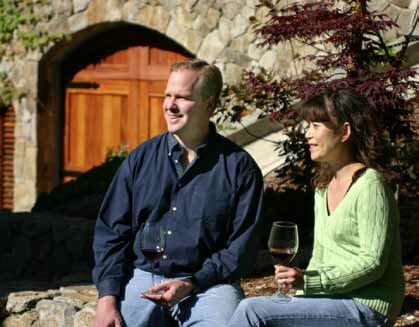 The history of Freeman Vineyard & Winery had its origins in a happenstance meeting between Ken and Akiko. After college, Ken was a crew member aboard a yacht sailing to the Caribbean, but Hurricane Gloria forced the crew ashore in Larchmont, New York, close to Ken’s hometown. Ken decided to join a party in town thrown by a good friend where he met Akiko. She had only recently arrived from Japan, and as Japanese tradition would dictate, she was dressed formally in a Chanel dress, a striking contrast to the other revelers clothed in jeans and tee shirts. Ken was smitten and after introductory formalities, the two eagerly shared their passion for fine wine, especially Pinot Noir. She had grown up in Japan around wine as her father was a wine enthusiast who often shared special bottles with his family. 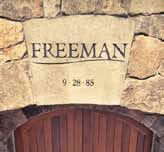 The date of their meeting, September 28, 1985, is engraved on the keystone at the Freeman winery’s entrance. 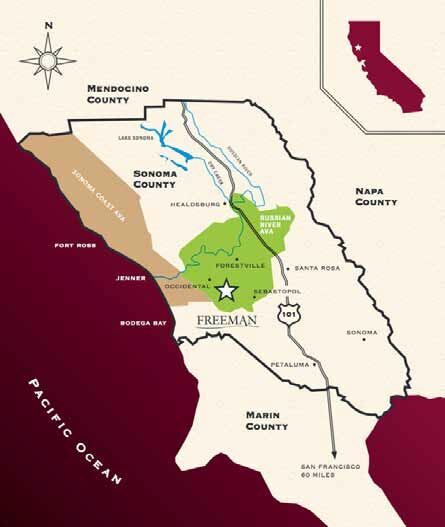 The Freemans launched their winery in 2001 after acquiring a small Russian River Valley winemaking facility and property in Sebastopol on a redwood-covered hillside. Beforehand, they had explored more than 300 vineyards looking to establish an estate program of their own and enlist grower partners. They preferred cool climate wines, and in particular, wines crafted in an eloquent style that were quite approachable upon release, but had enough structure to allow extended development over the long term. The Freemans winemaking goal can be summarized in two words: balance and refinement. The Freemans enlisted the winemaking expertise of veteran Ed Kurtzman who made the Freeman wines through several initial vintages, working closely with Akiko as a mentor, and eventually becoming a consultant to Akiko as she has gradually assumed the winemaking duties. Ed worked in wine retail and wholesaling before enrolling in the enology program at California State University at Fresno. After graduation, he honed his winemaking skills during stints at Bernardus, Chalone, Fort Ross and Testarossa, before settling in with current winemaking jobs with August West, Roar, Sandler Wine, Mansfield-Dunne, Freeman, and assorted other consulting positions. As one of California’s most accomplished Pinot Noir winemakers, Ed proved to be an invaluable adviser to Akiko and Freeman winery in developing the visionary style of Freeman wines. Akiko is currently aided by assistant winemaker Mitchell Masotti, a graduate of California State University at Fresno. Freeman produces just under 5,000 cases of Pinot Noir, Rosé, and Chardonnay. Grapes are sourced from multiple noted vineyards in the Russian River Valley and Sonoma Coast appellations. The offerings include a Pinot Noir Rosé in some vintages, appellation-designated Pinot Noirs from the Russian River Valley and Sonoma Coast, a vineyard-designated Pinot Noir from Keefer Ranch, a reserve Sonoma Coast bottling known as “Akiko’s Cuvée,” and a Chardonnay labeled “Ryo-Fu,” which means “Cool Breeze” in Japanese. The 7-acre Freeman Estate Vineyard adjacent the winery will produce a vineyard-designated Pinot Noir for the first time from the 2012 vintage. This vineyard is planted to several clones: 115, 667, 777, “828,” Mt. Eden, Swan, Calera and Pommard. Ken and Akiko are very active, hosting tastings at their winery, participating in many Pinot Noir festivals and wine dinners nationwide. They travel extensively and entertain Ken’s banking clients (he is a San Francisco-based investment banker) in their modern home adjacent the winery as well as abroad. Ken was Chairman of the Board of the West Sonoma Coast Vintners this past year and directed the wildly successful West of West Wine Festival held recently in Sebastopol and earlier this year in New York City. Freeman wines are distributed throughout the United States to select retailers and fine restaurants, and several hundred cases are sent to Japan each year. The mailing list is the best way to insure acquisition of the wines. The winery is not open to the public, but tasting can be arranged by appointment (707823-6937). Visit the website at www.freemanwinery.com. 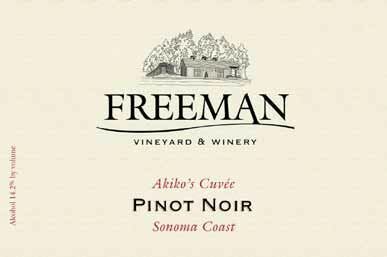 Each year since the inaugural 2002 vintage, the Freemans have released an Akiko’s Cuvée. Winemaker Akiko and consulting winemaker Ed taste each barrel of Pinot Noir from a given vintage in the cellar and choose their favorites. Wines from each person’s favorite barrels are then put together in a blend (or cuvée), and both blends are then tasted blind, so that no one knows who’s barrel selections are in which blend. For ten years in a row, Akiko’s blend has been everyone’s choice. The blend of vineyard sources will vary from year to year. On August 2, I had the distinct pleasure of tasting a ten year vertical of Akiko’s Cuvée Sonoma Coast Pinot Noir at the winery’s cave with Ken, Ed, Akiko and Mitchell. The wines were simply put, impressive. The earlier vintages had aged beautifully and the most recent vintages were very approachable. This last feature is the rub since many wine lovers will not be able to keep their hands off these wines upon release and therefore not experience the nuances that develop over time in the bottle. The style was consistent, yet the wines reflected vintage differences. Each wine displayed an appealing elegance, a moderate and balanced tannic structure, and crisp fruit expression. 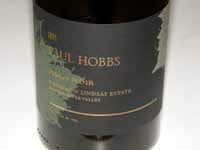 Finesse was featured over fruit heaviness, especially evident in the more recent vintages. I found that the most striking aromatic vibrancy and purity began to appear with the 2005 vintage wine. My tasting notes follow. When it comes to older Pinot Noir, there is no absolute rating, only a snapshot in time, but the wines were scored to reflect some current judgment. The wines are vinified using a 5-day cold soak, fermentation in open-top bins, punched down by hand one to three times per day, with free run sent directly to barrel and press wine settled and barreled separately. This article is the first in a series of in-depth profiles of distinguished Pinot Noir vineyards in California and Oregon. The vineyards are chosen for their record of producing consistently high quality Pinot Noir over multiple vintages, in some cases by several winemakers. At this time, we lack a classification of vineyards in North America and there is no established nomenclature to signify levels of quality such as found in Burgundy. Bill Weir spent his formative years in Chicago living with his mother after his father died when Bill was very young. His mother moved the family to Mill Valley in Northern California when Bill was 16. After a stint in the marines, he attended junior colleges looking for a career and eventually went to University of California at Berkeley to study architecture and mechanical engineering, both fields that would come in handy in the establishment of his vineyard in years to come. He eventually changed his major to business administration and was encouraged to enter law school. After graduating from Hastings Law School, he successfully practiced law in San Francisco for 40 years. During his years of law practice, Bill made wine in his garage with friends, an activity that led to some marital discord since he had cases of wine scattered all over the house. His wife, Suki, told him, “Your wine is mediocre at best, so stop it.” Bill, who was looking for a long term exit strategy from the practice of law, offered her a compromise. In 1987, he had acquired a 160-acre property in the Yorkville Highlands appellation near Anderson Valley, formerly part of a 5,000-acre sheep ranch. He asked Suki if he could grow grapes there if he agreed to stop making wine. She was receptive, based on two conditions: He had to attend formal viticulture school and he had to look at winegrowing as a business. Beginning in 1989, Bill attended night and weekend classes at Santa Rosa Junior College under the tutelage of Rich Thomas. He also traveled to Burgundy where he sought out advice and insight. In 1991, he had a consultant look at the property and examine the soils. The consultant told him that Syrah, Zinfandel, Pinot Noir and Chardonnay were feasible options. 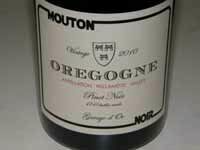 Because of his visit to Burgundy and his personal preference, he decided to plant Pinot Noir. This was a daring decision, since there was no significant precedent for growing Pinot Noir in the Yorkville Highlands. 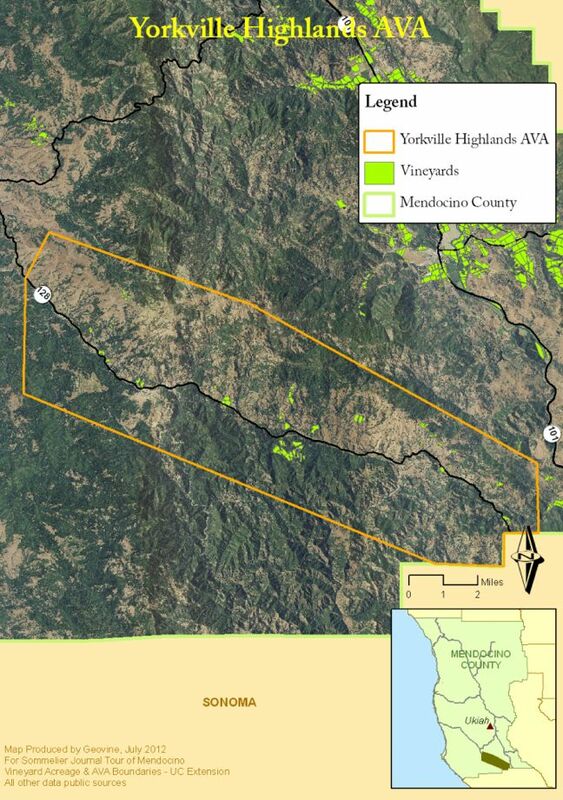 The Yorkville Highlands AVA, approved in 1998, is located in the southwestern corner of Mendocino County, between Sonoma County!s Alexander Valley to the South and Mendocino County!s Anderson Valley to the North. The region is 25 miles long, roughly in the shape of rectangle and bisected by Highway 128 which runs the length of the AVA. The region!s terrain is hilly and forested, with elevations ranging from 1,078 to 2,442 feet above sea level. The distinguishing features of the Yorkville Highlands AVA are rocky soils with a high gravel content and the climate, which is cooler than Alexander Valley but warmer than Anderson Valley, and significantly cooler at night than the surrounding areas. Temperatures range from 50º to 77º with an average of 63.5º during the growing season. Total growing degree-days to ripen grapes is 1603.3, making it a Region I in the UCD heat summation classification (source: www.everyvine.com). Of the 44,104 acres, only 0.1% is planted to grapevines. Bordeaux and Rhone varieties make up the vast majority of plantings, and Pinot Noir is usually designated under the tiny “other” category, amounting to only 49 acres compared to the neighboring Anderson Valley!s 1,128 acres (2008 figures from Glenn McGourty). The Yorkville Highlands Growers and Vintners Association, www.yorkvillehighlands.org, lists ten wineries in the appellation. Of these wineries, only Judson Hale Winery grows Pinot Noir. Baldassari is a newer, family owned winery in the AVA producing Pinot Noir. Wattle Creek Winery, located in Cloverdale, also grows and produces Pinot Noir from the Yorkville Highlands. A map of the region follows. Weir Vineyard can be located on this map by following Highway 128 from the AVA!s northernmost border south about 5 miles. Two closely adjacent vineyards in green are noted on the eastern side of Highway 128. These are the two halves of the Weir Vineyard. 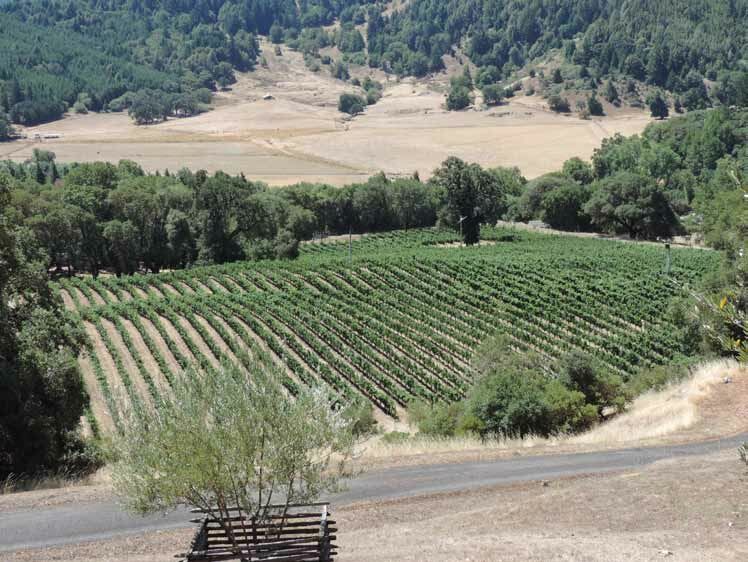 The Weir Vineyard property is located about 7 miles south of Boonville in the Anderson Valley near the headwaters of the Navarro River at 900 to 1000 feet elevation (Anderson Valley in comparison is about 400 feet elevation in Boonville). There is a melange of soils which fall into the Yorkville Series that are mountainous, deep, well drained, and composed of schist, brittle sandstone, and other sedimentary and metamorphic rocks including quartz. Some percentage of loamy clay keeps the soil united. The climate is characterized by dramatic diurnal shifts in temperature of 40º to 50º. Bill considers the diurnal bounce to be the key to the success of his vineyard, since he thinks the nighttime cooling intensifies polyphenol compounds (flavors), preserves acidity, and produces smaller berries during the growing season. (The value of high diurnal temperature variation is a controversial subject among viticulturists). Respected viticulturist Steve Williams was recruited to determine the vineyard!s initial 7.5-acre layout and plant the vineyard. Bill says Steve “gulped” when Bill told him he wanted to plant PInot Noir. In 1990, tree removal began, vines were bench grafted at a nursery in Fresno in 1991, and the vines went in the dirt in June 1992. Wädenswil clone and a rumored DRC selection from Mount Eden were initially planted on 5C rootstock using a VSP trellis system with 8! x 5! spacing. Bill declined to use AXR rootstock because it was not phylloxera resistant. 5C is adaptable to a wide range of soil types, but is not suitable for very dry soils. Bill says the water status of the vines must be carefully monitored, because if the vines become thirsty, they can shut down and not revitalize. Fortunately for Bill, the property has subterranean pockets of water which are sufficient for the 5C rootstock when supplemented by drip irrigation. Bill prefers to limit irrigation, however, believing that pre-veraison water deprivation leads to enhanced grape flavors. Initially, Bill came up to the vineyard on weekends from San Francisco and stayed in a mobile home on the property. He dug a well to supply the vineyard, but within three weeks all of his water was gone. He was forced to pipe in water from a neighboring sheep rancher and the following winter he dug additional wells (he now has five working wells), and established a spring with 10,000 gallon tanks for water storage. His sheep rancher friend, Guido, looked after the property and at one time had 100 head of sheep grazing on Bill's land. The sheep provided a pastoral presence and kept the weeds and grasses down, but when Guido passed away two years ago, Bill let the sheep go. Bill recounts his winegrowing experience, saying, "To grow fine, distinctive Pinot Noir grapes, you need an unending body of knowledge. You need chemistry and biology, even engineering and mechanics as well as the basics of meteorology and just plain farming. The extent of what you don't know limits your results." The initial planting is referred to as the East vineyard ( a 7.5-acre West vineyard was planted later). The south-facing East vineyard is on a hillside and somewhat protected from the wind but cold air rolls down to the bottom area of the vineyard, and Bill found it necessary to protect the vines from frost. In 1995 he installed a large fan, one of the first in the region. The East vineyard is pictured below (the giant fan is visible in the distance). Bill and his family lived in the property!s mobile trailer on the weekends for eight years before his wife and kids put their feet down. They insisted on a shower and inside bathroom, so Bill built a small house in 1997 to maintain family harmony. He has since designed and added a second house, a subterranean wine cellar and a deck for entertaining. 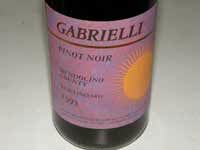 The first grapes that were harvested from the East vineyard in 1993 were sent to Gabrielli Winery in Redwood Valley where they were extremely well received. Since the quantity was small, the grapes were mixed with other Pinot Noir grapes. 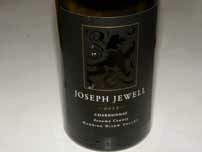 The resulting wine won a Gold Medal at the Mendocino County Fair. The following two vintages, 1994 and 1995 were bottled as a Weir Vineyard-designate by Gabrielli Winery. Meanwhile, Bill sold some grapes to Keith Rutz at Rutz Winery in the Russian River Valley. Rutz!s winemaker was Dan Moore, also the winemaker at Lynmar at the time. When Moore left, Keith hired Burt!s son, Fred. Fred Williams blended the 1995 vintage at Rutz, made the 1996 vintage and half of the 1997 vintage before departing and starting his own label, Seven Lions. Fred loved the fruit from Weir Vineyard. 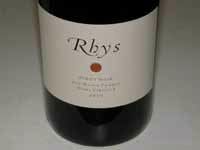 When Fred left Rutz, Burt came to Bill and said, “OK, I!m ready for your fruit.” A handshake deal was cut at the end of 1997 and the first Williams Selyem Weir Vineyard Pinot Noir debuted in the 1998 vintage. In the spring of 1998, Burt came to Bill and told him the winery was for sale. Bill wanted the grapes to follow Burt, and Burt said he would be consulting for another couple years, but with the sale, a written contract was required. 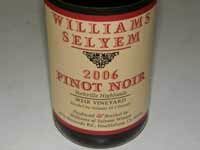 Burt left Williams Selyem after a year, but the grapes have been sourced by Williams Selyem ever since. Bob really beams when he talks about Burt Williams and speaks endlessly about Burt!s achievements. 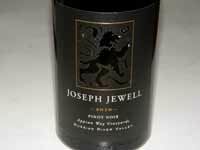 He considers him an icon of California Pinot Noir, setting the gold standard for the varietal in 1983 to 1985. The second 7.5-acre West vineyard was planted in 2000. 50% of the vineyard is the same DRC selection planted in the East vineyard, 25% is Pommard 4, and 25% is a Rochioli Riverblock selection. One small patch of the West vineyard is planted to Nebbiolo. This is Bill!s “pet project” that he planted five years ago and has been struggling with it. He says he is excited about it, and 2013, the fifth leaf, will be a telling year. Photo below shows Bill in the West vineyard. 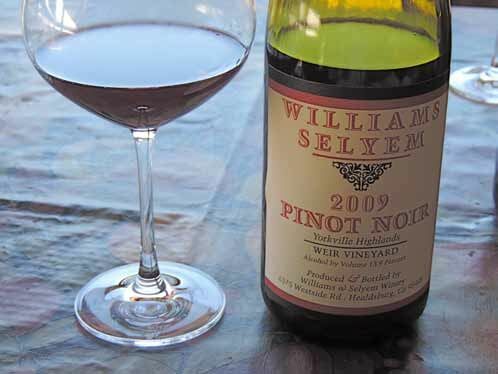 Bill has supplied grapes to a number of noteworthy Pinot Noir producers including Williams Selyem (about 50% of the vineyard!s production), Baxter, Bink Wines, Bluxome Street Winery, Drew Family Cellars, Furthermore, SPELL Wines, Talisman, and Toulouse. 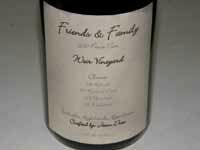 He has bottled his own Pinot Noir as well, both as a “Family and Friends” label and as “Lizzy!s Cuvée,” which is donated to raise money to fight cancer (in memory of Bill!s sister-in-law who died from cancer). 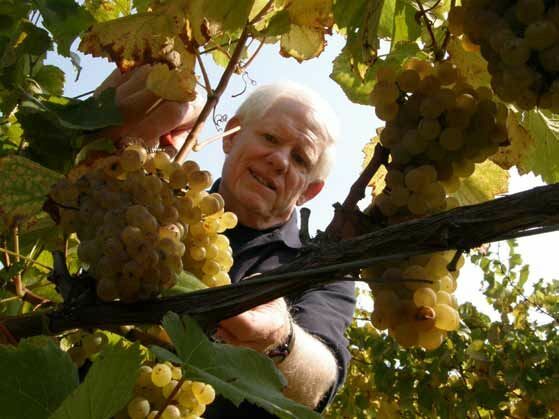 Bill retired in 2007 amid the cancer scare and now spends nearly half his time at Weir Vineyard. When I visited, he was cleaning out dead prey from the vineyard!s owl houses and looking forward to some family members visiting that evening. As we toured the large property and walked the vineyard together, it was clear that Bill was proud of his accomplishments. I felt honored to tell his remarkable story. 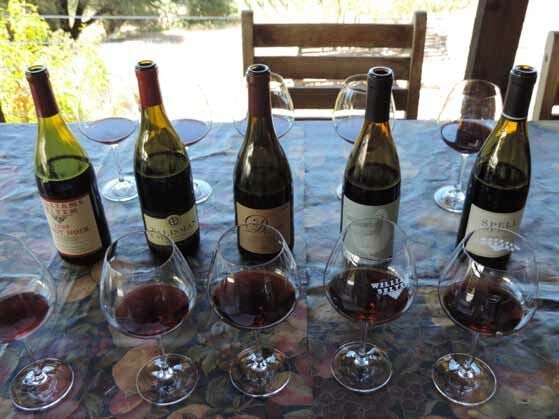 On his deck overlooking the vineyard, we tasted five Weir Vineyard Pinot Noirs, all of which were special. 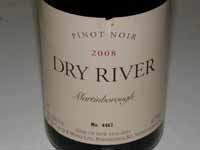 My tasting notes of these wines follow along with reviews of several more Weir Vineyard Pinot Noirs that I tasted after my visit to Weir Vineyard, some of which Bill kindly supplied. Like so many wine lovers, he relishes the chance to share. Weir Vineyard Pinot Noir displays a number of enticing features including remarkable fruit purity and tension, mid palate richness, bright and mineral-driven acidity, and enough structural bones for age ability. A floral note tends to show up on the nose, and many wines have a savory component. All wines tend to improve over time in the glass with aeration. 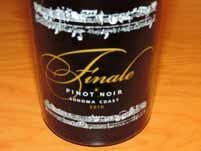 The most typical and distinguishing feature of every bottle that I have tasted can be summarized by a six-letter word: FINISH. The Weir Vineyard Pinot Noirs offer a finish of heightened intensity and uncommonly generous length which is the hallmark of great wine. It is often said that the feature that most distinguishes a Grand Cru Burgundy is the length of finish. Bill has said, "The deep personal involvement with growing these grapes has tremendously enriched our enjoyment of our lives. We think this will come through in the wine." This is definitely true. 2010 Weir Vineyard Yorkville Highlands Nebbiolo. Vinfied by Ryan McAlister. Unlabeled. Medium reddish-purple color in the glass. Shy aromas of brandy-soaked cherries, briar and rose petals. Tasty array of mid weight red cherry fruit with some Pinot character and a long finish offering cherry skin and dried herb flavors. The fruit is elevated by fresh acidity but is somewhat buried in muscular tannins. Needs a good steak or ossobuco to tame the tannins. NR. 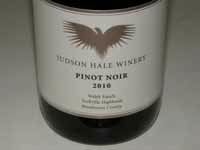 Judson Hale is a family owned winery sourcing Pinot Noir from the Walsh Vineyard, planted by Dennis and Mary Lou Walsh, with the help of their son, David, and daughter, Lis. Judson Hale grew up in Virginia, and while earning a degree in plant biology at University of Georgia, he developed an interest in wine. This led him to a degree in viticulture and enology from the University of California at Davis and a winemaking program in Dijon, France, where he met his future spouse, Lisa Walsh. 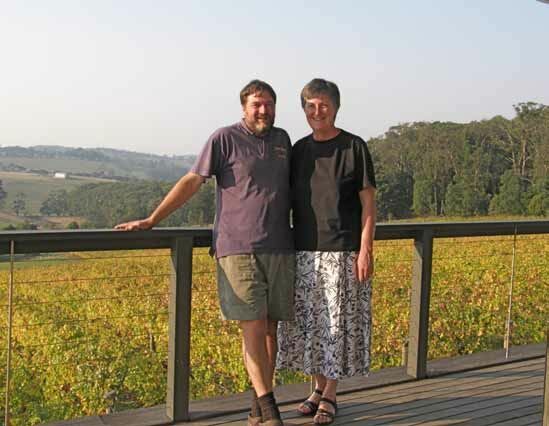 Judson and Lisa founded the Judson Hale Winery with other members of the Walsh family with the goal of produce Burgundian style Pinot Noir and Chardonnay. The Walsh Vineyard was planted in 1996 on their 250-acre Yorkville Highlands ranch. The rootstock is 101-14 and the clone is 667. Almost every member of the Walsh and Hale families were involved in the planting and tending of the vineyard. Situated at 1,400 foot elevation, and experiencing drastic diurnal temperature shifts during the summer, natural spring water nourishes the vines during the late summer months. A winery built on the Walsh’s Yorkville Highlands ranch should be open in time for the 2013 harvest. The 2010 Pinot Noir is the first release. Previously, grapes from the Walsh Vineyard were sold to Goldeneye. The wine is available at SIP! Mendocino in Hopland. A 2012 Yorkville Highlands Chardonnay has just been released. 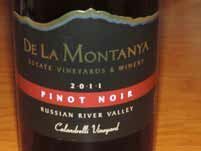 I was in Sonoma County in early August and visited both De La Montanya Estate Vineyards & Winery in the Russian River Valley and Cuvaison Estate Wines in Napa Carneros. Here is a report on my experience and the wines I tasted. It has been a couple of years since I last dropped in to see Dennis De La Montanya, the seventh generation in a long line of farmers, purveyors of wine, and some suspicious endeavors including wine smuggling. 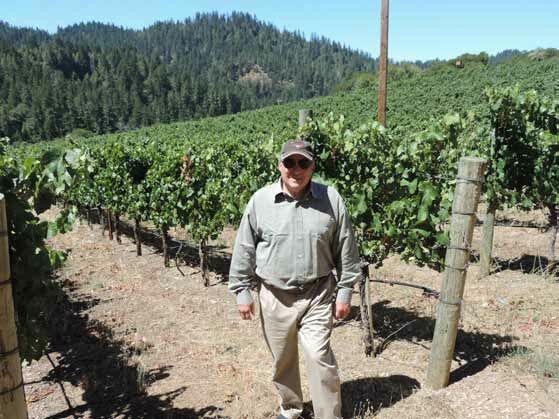 Dennis founded De La Montanya Estate Vineyards & Winery in 1995 with the planting of the Home Ranch in the Russian River Valley, and in 2003, the winery and tasting room were opened. Dennis now farms 270 acres of vineyards in Sonoma and Lake counties. 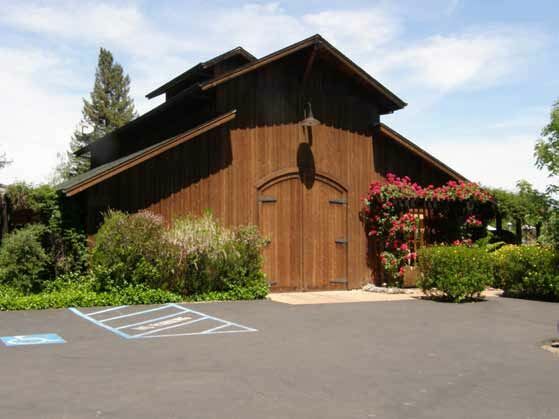 The small, but tasteful barn-inspired tasting room and winery is located three miles from Healdsburg just off Westside Road adjacent the estate Home Ranch Vineyard (take Felta Road off Westside Road to Foreman Lane). Dennis is a good guy to hang out with. He has a dry wit and an unpretentious way, never taking himself or his wines too seriously, but his wines are produced with the utmost attention. He is unique among Westside Road wineries in that he offers a multitude of varietals (current 18 different wines), both red and white, as well as a number of special bottlings produced in conjunction with rock bands, and various customers who pose for his “Pin-Up” series of wines (these are only sold at the winery since the TTB frowns on the attractive ladies in pinup poses on the labels). Pinot Noir sources include Christine!s Vineyard, Flying Rooster Ranch Vineyard and Willow Vineyard in the Sonoma Coast, and De La Montanya Home Ranch & Tina!s Vineyard, Calandrelli Vineyard and Ridgeway Vineyard all in the Russian River Valley. All Pinot Noirs are 100% de-stemmed and mostly whole berry fermented. Five day cold soak is the norm followed by inoculated fermentation in small open top bins. The wines are pressed and go to barrel just before the wines are completely dry. Total production is about 4,000 cases annually, primarily sold through the tasting room and wine club (members receive a 20% discount). The 2010 vintage wines are nearly sold out. The tasting room is open weekends without appointment and weekdays by appointment. Visit www.dlmwine.com. The winemaker since 2006 has been Tami Collins (Dennis! spouse Tina!s younger sister) who works closely with Dennis who steers the ship. Dennis and Tami are pictured below during my visit. Cuvaison has a storied history dating to 1969 when two Silicon Valley engineers founded the winery with the establishment of a 27-acre vineyard at the winery!s Calistoga location. The Schmidheiny Family of Switzerland later acquired Cuvaison Estate Wines along with 400 acres of undeveloped land in the Carneros appellation. 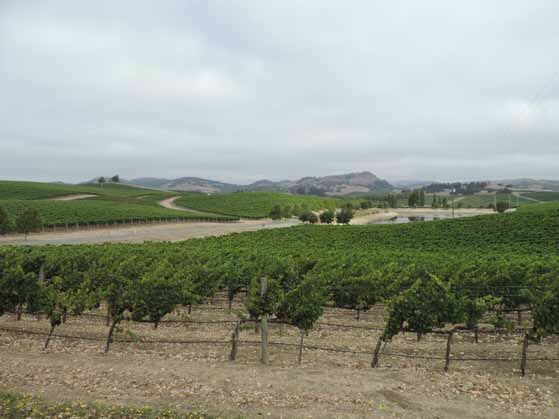 Eventually vineyards were developed in Carneros and production was moved to a new Carneros winery built specifically for Chardonnay and Pinot Noir in 2004. All Cuvaison wines have been 100% estate since then. 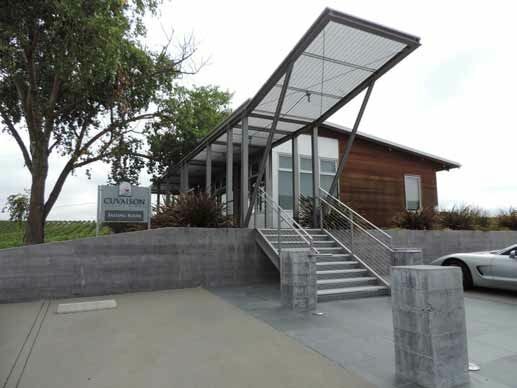 Cuvaison celebrated forty years of winemaking in 2009 with the construction of new tasting rooms in Calistoga and Carneros and a new barrel room in Carneros. Cuvaison is pronounced “Koo-veh-ZOHN,” and is a French term for the period when grape juice is kept in contact with the skins during fermentation and maceration. Steve Rogstad joined Cuvaison as the winemaker in 2002 and he has been a regular on the Pinot Noir festival circuit. A graduate of the University of California at Davis, he has had winemaking stints at Saintsbury, Spring Mountain Vineyards, Clos Pegase and Rombauer and worked with custom clients including Viader, Neyers and Dominus. 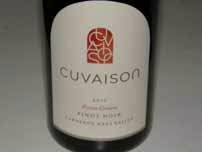 His efforts have led to Cuvaison being named Wine & Spirits 2012 Winery of the Year. The 392-acre Carneros Estate with 250 planted acres receives fog and maritime wind from the nearby San Pablo Bay, creating ideal growing conditions for Pinot Noir and Chardonnay. 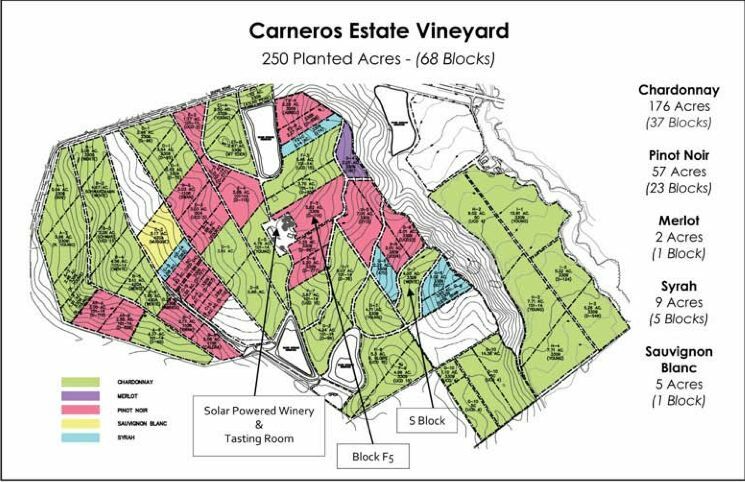 The shallow clay soils are planted to 57 acres of Pinot Noir, 176 acres of Chardonnay and small amounts of Merlot, Syrah and Sauvignon Blanc (see map of the Carneros Estate Vineyard below). Irrigation is usually needed during the growing season due to the shallow soils and is supplied primarily by reservoirs filled with rain water. Pinot Noir clones are varied and include Dijon 115, 667, 777, “828,” and 459, several heritage selections such as Calera, Swan, Abreu, and Mariafeld. The winery is well-known for Chardonnay and this is its largest production wine by far, but the Pinot Noirs are not to be missed. 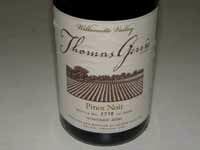 Current releases include a Vin Gris of Pinot Noir, a 2011 Estate Pinot Noir, and the 2011 Spire Pinot Noir. Spire is a block Pinot Noir produced from a site (Block F5) that is consistently unique each year and always a special wine. After a cold soak, the Pinot Noir is fermented in open top tanks using both native and proprietary yeasts. Whole cluster inclusion is vintage dependent. 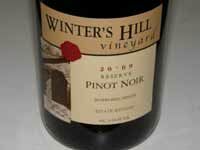 The Pinot Noir is aged in a modest percentage of new French oak barrels. In 2011, total Pinot Noir production was about 4,500 cases, but the winery can easily manage 6,000 to 7,000 cases in a generous vintage like 2012. Chardonnay is whole cluster pressed, barrel fermented, undergoes partial malolactic fermentation, and is aged in a low percentage of new French oak barrels. Chardonnay production is 30,000 to 40,000 cases. Cuvaison wines are sold on the website and through the two tasting rooms. Significant discounts are offered to wine club members. Both Calistoga (4550 Silverado Trail) and Carneros (1221 Duhig Road) tasting rooms are open daily. Marketing of Cuvaison wines was handled by Terlato for the last fifteen years, but about a year ago, Cuvaison assumed their own direct marketing to reach out to more consumers directly. In addition, the packaging has been updated. The inviting Carneros tasting room is pictured below. One wine in particular has garnered rave reviews. The 2010 Eldridge Estate Red Hill Victoria Mornington Peninsula Australia Pinot Noir is from proprietors David and Wendy Lloyd’s 8-acre vineyard planted to some of the oldest (1984) vines in the district. 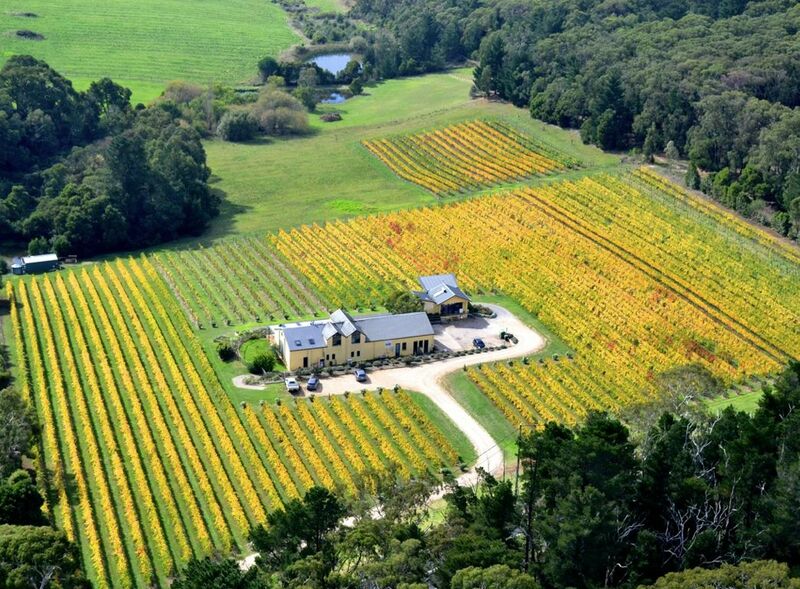 The vineyard is located 90 miles south of Melbourne in one of the coolest subregions in the Mornington Peninsula, and has the a similar climate and latitude and longitude to Burgundy, France. The vines are planted in red clay volcanic loam and are trained to the Scott Henry system of canopy management. The Lloyds have farmed the vineyard since 1995 which is planted primarily to 8 clones of Pinot Noir and 6 clones of Chardonnay. In the 2013 James Halliday Wine Companion, Eldridge Estate was listed as a Five Star Winery. 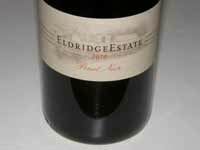 Decanter awarded the 2010 Eldridge Estate Pinot Noir 95+ points. 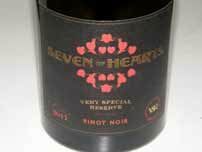 Burgundy importer, Greg Koslosky, called it, “The best Pinot Noir we’ve ever tasted from the Southern Hemisphere.” Unfortunately, only 30 cases were imported to the United States (H. Mercer Imports Inc., Studio City, CA), but you might still snag a bottle. The first three photos below were taken on a trip to Australia a few years ago when I visited Eldridge Estate. I am pleased that the Lloyds are receiving high praise for their wine as they are hard working, dedicated vintners who are also good friends of mine as well as fellow tennis enthusiasts (they just returned from both the French Open and Wimbledon, and spent considerable time in their beloved Burgundy as well). The day I visited, David was ready to harvest Chardonnay so the photos are a collector!s item, showing the Prince of Pinot googling over ripe Chardonnay clusters. 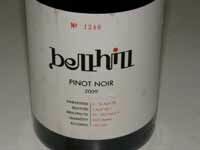 The second Australian Pinot Noir reviewed here is from the same region. Like Eldridge Estate, Mooroodoc Estate is a small, family run winery that has gained a reputation for excellence and is a James Halliday Wine Companion Five Star Winery. 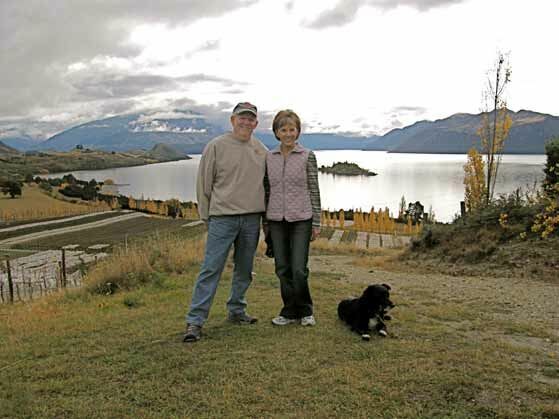 The proprietors, Richard and Jill McIntyre, established the Estate in 1981, and farm (either own or manage) four established vineyards planted primarily to Pinot Noir and Chardonnay. The Moorooduc team now includes daughter Kate (MW 2010) and viticulturist Hugh Robinson. The estate is also home to several dogs, two cats, chooks (chickens), ducks and a peacock. Richard McIntyre was an honored guest at the 2013 International Pinot Noir Celebration in McMinnville, Oregon, as the winemaker for 10 Minutes by Tractor. 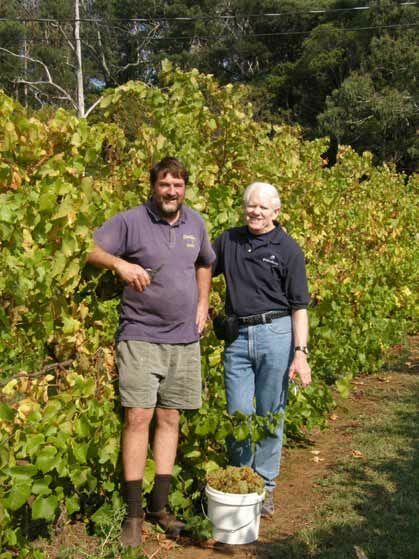 (McIntyre crafts wine for others and his own Mooroodoc Estate). There is a much better chance you will find premium New Zealand Pinot Noir in the United States as the small country is exporting well over a million cases of Pinot Noir a year. 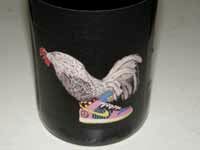 Unfortunately, much of the exported New Zealand Pinot Noir is very ordinary. 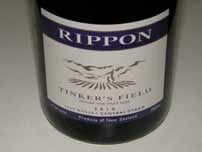 Showpiece New Zealand Pinot Noirs are harder to find, but often appear regularly in the stock of stateside fine wine retailers, where the competition from California and Oregon is formidable. Many consumers do not experience enough of a distinct difference to make them preferable to North American Pinot Noir. I try to taste New Zealand Pinot Noir periodically out of curiosity, and over the years have acquired a fondness for the Pinot Noir from Craggy Range and Escarpment from the North Island, and Felton Road, Rippon, Burn Cottage, Pyramid Valley and Dry River from the South Island. 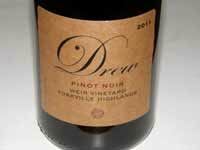 Here are a few New Zealand Pinot Noirs I tasted recently. Note: The J. Wilkes brand was established in 2001 by Jeff Wilkes who I knew well. His wines were always appealing to me. 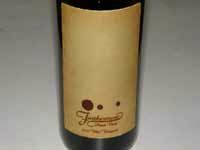 Since his passing, the J. Wilkes brand legacy has continued under the direction of winemaker Vidal Perez, focusing, as Jeff did, on Pinot Noir, Chardonnay and Pinot Blanc. Vidal is a graduate of California State University at Fresno in Viticulture and Enology and is an assistant winemaker at Central Coast Wine Services where Jeff made his wines. 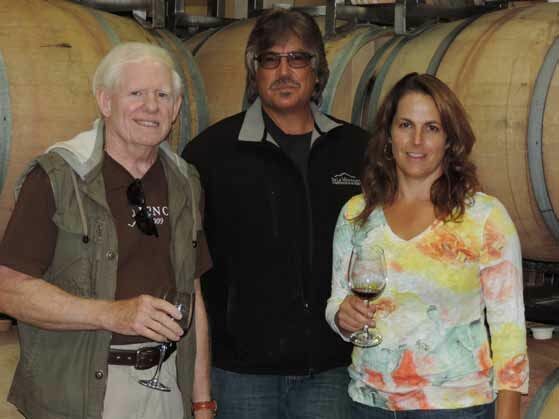 Note: Cristom Winery was named after owner Paul Gerrie’s son Tom and daughter Christine. Tom was only 8 years old when Cristom had its first crush and he has many childhood memories of time spent in the vineyards. His mentors have been Cristom’s Steve Doerner and Mark Feltz. Tom is the assistant winemaker at Cristom and started his own label with the 2009 vintage. The wines feature 100% whole cluster. Louis Jadot Acquires Oregon Vineyard Wine Spectator (August 21, 2013) reported that Maison Louis Jadot bought the 32-acre Resonance Vineyard in the Yamhill-Carlton sub-appellation of the Willamette Valley for an undisclosed price. Beginning with the 2013 vintage, Jacques Lardiére, who retired as Jadot’s director of winemaking in 2012, will produce about 2,700 cases of an Oregon Pinot Noir at Trisaetum Winery. Resonance Vineyard has provided fruit to Lemelson, Sineann and Big Table Farm from its 19 acres of ownrooted Pinot Noir planted between 1981 and 2006. 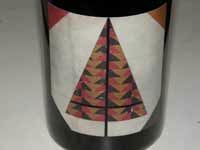 A Resonance Vineyard Pinot Noir has also been produced by the previous owners. Maison Louis Jadot is owned by the American Kopf family, which also owns the Kobrand import firm. This is the first venture outside of Burgundy for Maison Louis Jadot. Jackson Family Wines Buys Oregon Winery Jackson Family Wines recently acquired 300 acres of vineyard acreage in Oregon and has now bought Soléna Estate, a 15,000-case winery facility in the Yamhill-Carlton sub-appellation of the Willamette Valley owned by Laurent Montalieu and Danielle Andrus Montalieu. The Montalieus will retain their brand and move production to a different facility. Donum Estate Taking Great Strides Donum Estate consists of a 147-acre property spun off from the Buena Vista ranch more than a decade ago. Donum has recently contracted the 20-acre Angel Camp Vineyard in Anderson Valley and in 2012 acquired the Nugent Vineyard in the Russian River Valley. In July 2012, the winery assumed control of a 40-acre property adjacent the Carneros estate and will begin planting that parcel to vineyards. Much the new plantings will be the so-called Roederer clone which originated in the Hermann J. Weiner nursery in New York’s Finger Lake region, and is also named the Donum clone (a masalle selection). Replanting of 14 acres of the Donum Estate has also been undertaken, using Pommard, Calera, Wädenswil and Dijon 667 clones of Pinot Noir and Wente clone of Chardonnay. Two Wine apps Are Handy With the iOs app Drync, snap a photo of the label to see the price, ratings and tasting notes. The wine can ordered within seconds using a secure e-commerce platform and easy-to-use checkout function in the “Wine Cart.” Drync identifies 1.7 million wines using image recognition technology that works on bottle labels as well as labels pictured in magazines, and on signs and computer screens. Information can be shared with friends on Facebook, Twitter and email. I downloaded the Drync app and found a few drawbacks. The image recognition database does not contain all wines, so not every label is identifiable, and occasional the scanner identifies a wine incorrectly. The rating system (from 1 to 5 hearts) is based on users’ rather than critics ratings, and since the app is new, there aren’t many labels in the database. A second app, Delectable (first developed in 2011 with the newest version 3.0 now available) claims to be the No. 1 choice of wine drinkers, with users now approaching 1 million. Its database includes more than 2 million bottles. Delectable lets users snap a picture of a wine label with their iPhone, record their impressions, and but a wine through the app if it is available for purchase. The rating system is based on four types of faces with sad to happy expressions. Delectable claims its image recognition technology is nearly 100 percent accurate, and as I worked with it, I found this to be true. Personalized recommendations are offered on what to drink next based on what you have drunk in the past. Ordering is easy, and shipping is available to all 50 states. The main drawback is that identifying a label is not immediate and can take up to several hours, so it is not possible to order wine quickly. Because this app is well established, there are multiple ratings from several users for a number of wines and ratings of multiple vintages of the same wine are displayed. Both apps are free and downloadable through iTunes. World of Pinot Noir Donates $4,000 to Michael Bonaccorsi Foundation A significant donation was made to the Michael Bonaccorsi Foundations’s scholarship program at a recent Pinot Noir focused gathering at the Bacara Resort & Spa, the new location for the 2014 World of Pinot Noir. Michael Bonaccorsi was a respected sommelier and winemaker in Santa Barbara County but passed away suddenly in 2004. His legacy remains in the Michael Bonaccorsi Foundation, which awards scholarships to those striving to follow in his footsteps. The scholarships are made available through the Allan Hancock College Enology and Viticulture program. Visit www.hancockcollege.edu for information. The 14th World of Pinot Noir will be held February 29-March 1, 2014. More than 200 wineries specializing in Pinot Noir from throughout the world will be participating in two full days of seminars, tastings, dinners and special events. More than 2,000 guests attend the weekend events each year. For details on the World of Pinot Noir, visit www.wopn.com. The photograph below shows left to right: WOPN Board Members Leslie Renaud (Foley Wines), Karen Steinwachs (Seagrape Wine Co.) and Norm Yost (Flying Goat Cellars), Allan Hancock representatives Jeffr Cotter, Alfredo Koch and Dr. Paul Murphy, and Jenne Lee Bonaccorsi of Bonaccorsi Wine Co..
Pinot in the City Oregon’s Willamette Valley Wineries Association takes it on the road to Los Angeles on September 11, 2013. Over 69 Oregon wineries will be pouring Pinot Noir, Chardonnay, Pinot Gris, Riesling and more. The venue is The Ebell from 3:00 to 6:00. Tickets include all wine tasting, Pinot-friendly appetizers and a logo glass. 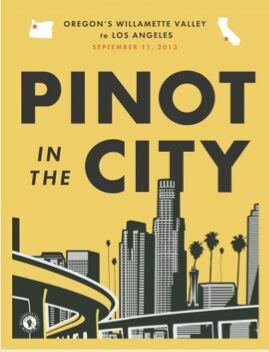 Visit www.willamettewines.com/event/pinot-in-the-city/ for tickets ($75) and to see a list of participating wineries. The trade tasting will be held from 12:00 to 4:00. Sip For The Sea Benefit This food and wine event benefits the New York Aquarium by providing funds to repair damage caused by Hurricane Sandy. The date is September 12, 2013, from 6:00 to 9:00 at the Central Park Zoo in New York City. The Hess Collection, which works with the Monterey Bay Aquarium and the Seafood Watch program to promote sustainable seafood, has joined with the Wildlife Conservation Society and several other sponsors to offer wines from the entire Hess portfolio, paired with offerings from some of New York’s finest restaurants. Pull a cork for a penguin. For tickets, visit www.wcs.org/sipforthesea/. Alfresco Dining at The Madrones in Anderson Valley The Madrones’ Mediterranean compound in Anderson Valley now offers alfresco meals at the property’s newest addition, the Stone & Embers Restaurant. A wood-burning stove is at the heart of chef and owner Patrick Meany’s menu offerings. Meany was most recently the Chef de Cuisine at Heritage House in Mendocino and has worked at Bouchon Las Vegas and Gary Danko in San Francisco. Guests can stay overnight in one of The Madrones’ lovely Estate Guest Quarters. Stone & Embers is open daily (except Wednesday and Thursday) from 12:00 to 8:30. Stone & Embers is located at 9000 Hwy 128 in Philo (adjacent Goldeneye tasting room). Visit www.stoneandembers.com for more information. Clos Saron Fall Open House For something different, consider visiting the Clos Saron Fall Open House in the Sierra Foothills. 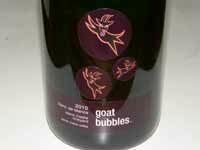 This producer of Pinot Noir and various other red and white varietals of interest, is tiny but has taken on a cult following. The event on Saturday, October 19, 2013, will include a barrel tasting of the 2013 vintage, a preview of the 2011 Pinot Noirs, a picnic lunch in the vineyard, a tasting of several other wines spanning 13 harvests and a candle light gourmet dinner in the cellar. For further information, call the winery at 530-692-1080, email the winery at info@clossaron.com, or visit the winery’s website at www.clossaron.com. Experience Oregon Wine Harvest at SE Collective On September 26 to October 18, Portland’s urban winery, SE Wine Collective. Hands-on wine production experiences, punching down grapes, weekly happy hours, and more are offered at the 5,000-square-foot SE Wine Collective, located within minutes of downtown Portland at 2425 SE 35th Place. Vincent Wine Company, Helioterra Wines and Division Winemaking Company have been resident wineries for a year and newer resident wineries include Bow & Arrow Wines, Willful Wines and Fullerton Wines. Visit www.sewinecollective for more details. Head’s Up: KITÁ Wines I recently attended the Wine & Fire event in the Sta. Rita Hills, and although there were a number of wineries that stood out for me, I should give a head’s up to KITÁ Wines. I won’t be writing about the event for some time, so wanted to make you aware of this new producer. I thought their 2011 Pinot Noir was the best I tasted at the event. The brand is a collaboration between two accomplished vintners, general manager and head winemaker Tara Gomez and assistant winemaker Tymari LoRe. 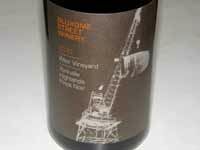 Several varietals are offered, but the 2011 Pinot Noir from Hilliard Bruce Vineyard in the Sta. Rita Hills was a stunning wine. I also tasted several single clone barrel samples from the 2012 vintage and these were equally impressive. Check out the full story at www.kitawines.com. 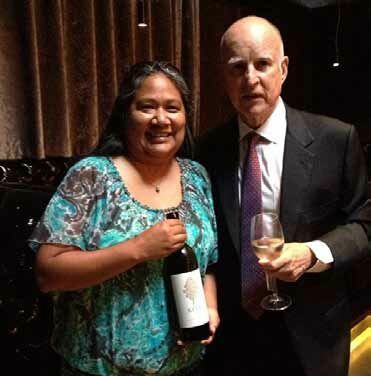 Photo below shows Tara recently pouring wine for the California State Legislature. New Zealand Wines Marketed With More Antioxidant Balancing Act Wines, a new label from New Zealand, is offering a lineup of wines that contain 40 times more of the potentially health-promoting antioxidant, resveratrol (equivalent to consuming the resveratrol content in 40 glasses of normal wine). 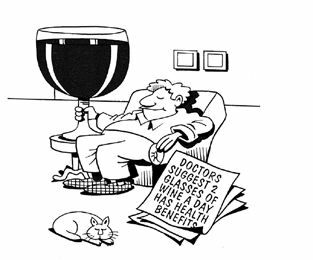 Recent research has found that the resveratrol is absorbed 250 times more effectively when consumed in wine as opposed to a supplement form, according to www.foodmag.com.au. The Balancing Act wines incorporate a technology developed by Australian antioxidant proponent, Dr. Phillip Norrie. The resveratrol load in the wine is said not to effect color, aroma or flavor. 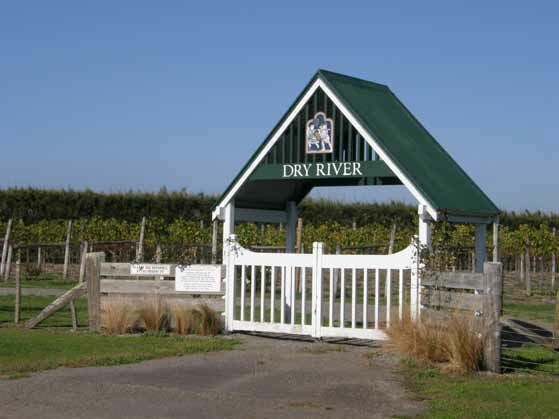 The wines have been introduced into the New Zealand market by Southern Wine NZ Ltd.
Sip! Mendocino Wine Tasting & Wine Shop Bernadette Byrne runs a popular tasting room and retail store for Mendocino wines. Many of the Pinot Noirs she carries are very small production including Masut, Judson Hale, Black Kite, Bink, Frati Horn, Witching Stick, Foursight, Baxter, and more. A special wine club is available called Pinot Please! Members receive quarterly selections of two different small production Mendocino County Pinot Noirs, typically two bottles of each, with a 20% discount. Members also receive exclusive invitations to PINOT-centric Sip! Trip excursions to Pinot Noir vineyard and winery experiences. Apparently Bernadette knows everyone in Mendocino County so is a good resource for finding wine produced in the region. She has been able to find me Pinot Noir that was not available anywhere else. Sip! Mendocino is located in Hopland at 13420 S. Hwy 101. 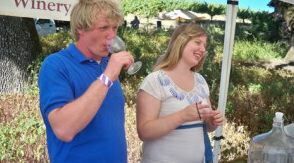 Visit the website at www.SIPmendocino.com (if you don’t see a wine you want, call her at 707-744-8375).